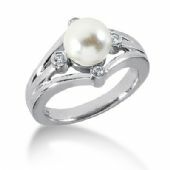 Four Round Brilliant Diamonds Circle a beautiful pearl that is placed right in the center of this diamond anniversary ring. 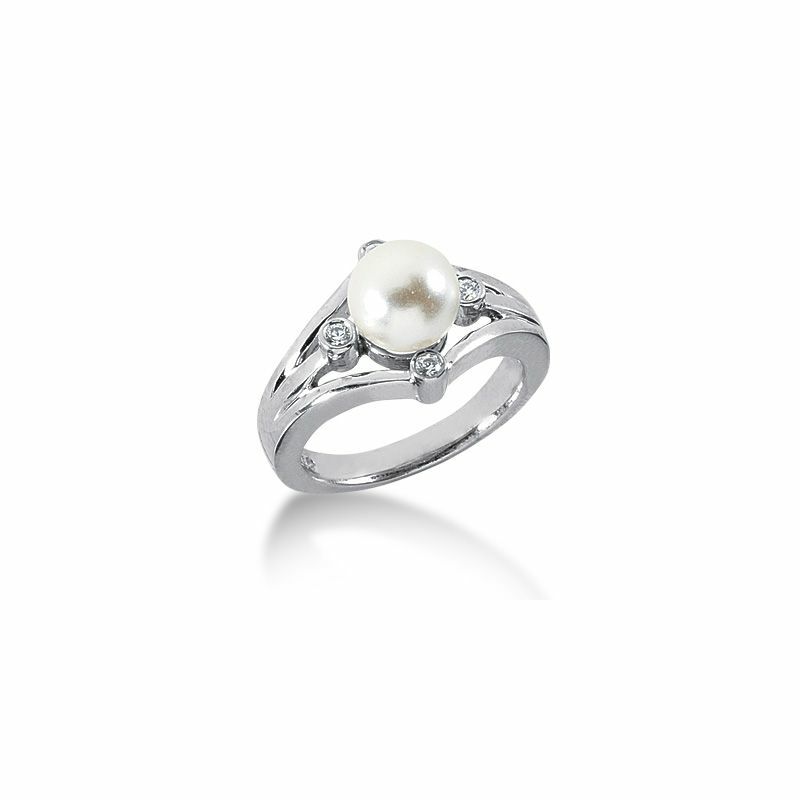 The four round brilliant diamonds are placed in a bezel setting, with metal attaching them to the ring and to the pearl on each side. This great diamond ring is a gorgeous unique one. The shiny polish, finishes the 14K white gold ring.